I have just finished two tournaments in Austria, the excellently organised Lienz Open and Graz Open and I am astonished at the number of Caro-Kanns that were played in the latter. Perhaps, it is because the inventor of this opening, Markus Kann is Austrian? Anyway, it seems that the Caro-Kann is now established as a fine weapon in Swiss Opens given that it is extremely hard to break down and the lack of forced simplifying lines allows reasonable scope for Black to play for a win. I have known the young English Grandmaster Daniel Fernandez since he was a promising junior back in Singapore, and he has always been known to be somewhat of a openings maverick. As such, I expected his first book, while on the relatively calm waters of the Caro-Kann, to consist of not just the traditional stuff but something enterprising and probably against convention. Daniel is ridiculously hardworking and generous with his analysis of the above critical position. Many authors are likely to give a couple of lines and conclude with "more tests are needed" or "the position is unclear" but this is where Daniel is not afraid to shy away from deep and complex analysis and he does his best to explain the utter chaos that can happen in this line. Without giving too much away, Daniel analysed the aforementioned position extremely deeply. The level of detail that is afforded to a secondary variation is quite impressive indeed. And to conclude the section on the Advance variation, Daniel gave two bonus chapers, one of which is a review of 3...c5!? which the Polish Olympiad team used to great effect in Batumi, and a section containing three deeply "annotated games for thematic structures in the advance Caro". I like Daniel's instructive notes which players of all levels should be able to enjoy without finding them overwhelming. Against 3.Nd2/3.Nc3 which is the traditional way of answering the Caro, Daniel recommends the Smyslov variation (3...de4 4.Ne4 Nd7) which has recently come back into fashion thanks to the efforts of the Chinese number one, Ding Liren. This is a refreshing choice given that almost all the recent Caro-Kann books have focused on the solid and very much main stream 3...Bf5. Again, Daniel has gone into considerable detail and after doing a bit of research, I was not able to find any chinks in his analysis. I believe that The Modernized Caro-Kann is most suited to players who are at least of 2000 strength, given the complexity of the lines. This is in no way meant as a criticism - Daniel has chosen to focus on depth and originality and this book is written for the ambitious player who ideally already has some knowledge of the Caro-Kann and is looking to freshen his repertoire. It does however mean that there is some limitation on the scope of the book's audience. Certainly, a newcomer to the game will be utterly bewildered after going through the first five pages and is likely to pursue other meaningful interests in life. There is a nice introduction and summary at the start of each chapter, and there is plenty of prose to explain his thoughts in a clear and coherent manner. I am slightly surprised that a correspondence database is not listed in the bibliography but as long as there are no major omissions (which I have not found any), I am happy to admit that I am picking on bones here. Fernandez is a welcome addition to the publishing world and Thinkers Publishing has pulled off a tremendous coup in adding him to their payroll. I am looking forward to his next piece of work. Victor Bologan is no stranger to the chesspublishing world, given that he has already written several books and filmed many DVDS, all primarily focused on different openings. If Daniel's stylistic approach is typical of that from a millenial, Bologan's Caro-Kann is written in a completely opposite way - old school and extremely thorough to the point of encyclopedic level. There are 57 staggering theoretical chapters, and a final chapter consisting of 20 "Black to move" positions. A very interesting introduction. One can immediately sense the difference in approach between this book and Daniel's. Bologan presents a rock solid and highly theoretical repertoire. While Daniel's analysis is extremely deep in the most critical positions, Bologan makes sure that every single line is covered with just enough detail for the reader to get by. While this means that there is limited space for innovation and original analysis, it does ensure that the coverage is comprehensive which will be helpful to someone who is just starting to learn the Caro-Kann. Grandmaster Victor Bologan, one of the most prolific chess authors and presenters today. | Photo: Peter Doggers/Chess.com. Impressively deep theoretical discussion of the famous Panov endgame. ....as well as 6...Be6 which is more enterprising. This is similar to Daniel's recommendation in The Modernized Caro Kann and it does seem to indicate a trend in recent opening books that providing options that differ in style and ambition is widely seen as providing extra value to readers. My main issue with Bologan's repertoire is that he tends to go for the most solid lines and in some cases, Black has to remember quite a lot in order to enter into an inferior ending where he probably can hold with precise play. For players at the amateur player or even professional players who will need to win some games with Black in Swiss Opens, this does not seem very practical. An example of what I mean can be seen in Chapter 33 that discusses the absolute mainline of the Classical Variation. Overall, Bologan's Caro-Kann is a valuable resource for any players who want to learn the Caro-Kann. The structure of the book is excellent and there is enough fresh material to interest players of master level. I personally do not find the choice of lines particularly exciting but this is more of a question of taste. I would still recommend this book to Caro aficionados and White players would also find some useful ideas to incorporate in their arsenal. 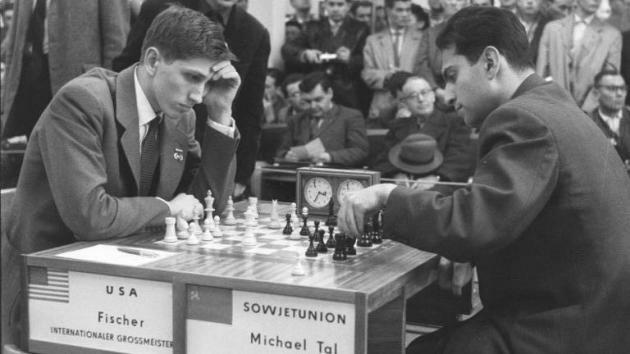 Quality Chess needs no introduction to the serious chess player. Their books are generally highly popular and its co-founder, Grandmaster Jacob Aagaard and its team of editors have built up a formidable reputation over time as having an obsession over detail and quality assurance. As such, I thought it is high time for me to examine some of their works that are of great personal interest to me. "In creating a 1.e4 repertoire, one could choose the sharpest lines, cover them in full academic detail and supply a complete repertoire spanning a multitude of volumes. Or one could create a slim, single-volume repertoire by ducking all the theoretically challenges and giving "club players' favourites" such as the King's Indian Attack. My three-volume series is at neither extreme. It delivers a repertoire which I am confident will be effective even at GM level, but it demands a workload from the reader that is manageable, albeit challenging in places. vs 1...c6 - The Advance Variation with the sharp 4.h4 h5 5.Bd3!? vs 1...c5 - A variety of Sicilian main lines because Shaw felt that "anti-Sicilians are not threatening enough to form an ambitious repertoire." After going through the series, I have no qualms in recommending it highly to a wide range of players, say from 1500 amateur players up to the professional, Grandmaster. In order to fully appreciate why I think so, it is perhaps easier to illustrate this by showing some games where either me or my friends have used Shaw's recommendations. Not my best game by far but the surprise worked perfectly and it was my own fault for nearly ruining it by allowing too much counterplay. Against the Sicilian Kan (or Paulsen) variation that starts with the moves 1.e4 c5 2.Nf3 e6 3.d4 cd 4.Nxd4 a6, I have been playing the solid 5.c4 for a while now. It was recommended by Shaw as well as the slightly older work but also excellent Attacking the Flexible Sicilian by Kotronias and Semkov. Of course, it is impossible to please everyone and there are some recommendations which I do not like that much, such as the incredibly sharp lines that Shaw has advocated arising from the 4.h4 and 5.Bd3 Advance Caro. The positions are just so random that I think it is impossible to replicate some of these variations over the board. Yet, Shaw must be given credit for selecting a theoretically challenging line and investing a ton of time and energy and presenting all his analysis there. It is just not to my taste but theory junkies who love super aggressive and tactical lines will be highly interested in this chapter. I guess it is quite obvious now why I am highly recommending this series - I had used so many of these lines and have gotten good positions in virtually all the time where I have tested the theory coverage from these books. Shaw's writing style is fun to read, with flecks of dry humour littered throughout the book and he does not shy away from presenting deep theoretical analysis even if he claims that his books are supposedly more "lightweight" as compared to Negi's books. In short, in my view, these books have attained "must-have" status for all 1.e4 players.